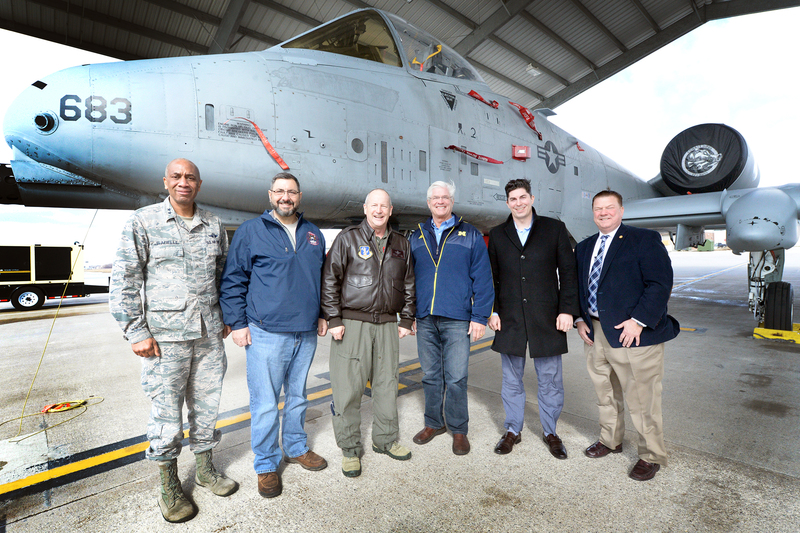 LANSING, Mich. — Senate Majority Leader Mike Shirkey, R-Clarklake, (third from right) had the pleasure of attending a tour of the Selfridge Air National Guard Base in Macomb County with three of his fellow senators on Friday. Pictured, from left, are Maj. Gen. Leonard Isabelle, assistant adjutant general and commander of the Michigan Air National Guard; Sen. Jim Stamas; Brig. Gen. John D. Slocum, commander of the 127th Wing at Selfridge Air National Guard Base; Shirkey; Sen. Michael D. MacDonald and Sen. Pete Lucido. Note: For a print-quality version of this or other Shirkey photos, click the image or select Photos under the “In the News” tab, above.